Our first run beta workshop will take place on Friday, November 28th, 2014 from 8:30am to 6:30pm. We will be looking for about 30 participants, and in this case we are specifically seeking UBC graduate students or post-docs. Details on the workshop premise and content can be found here. Details on the Nov 28th session’s instructors can be found here. This beta workshop will be free of charge, but pre and post survey work will be done in order to assess the various elements of the Guardian of Science workshop. If you are a UBC graduate student or UBC post-doc, please sign up here (note that we will have reserved spots for MSL and IRES students). We’ll try to get back to you as soon as possible to confirm whether you got a spot or not. After the beta workshop, we will be taking a close look at the feedback/survey response and making appropriate changes to both the content and the workshop logistics. This is to ensure the best possible learning experience for our future Guardians. We do envision hosting a minimum of two of these workshops a year. One of these will always be a free workshop for UBC graduate students, whereas the other(s) will be fee based. The plan is that this fee will cover the stipends offered to 3 of our expert instructors, catering costs, as well as any extra going towards a small grant pool. This pool of funds is envisioned to be set up to allow the program to award a few small science outreach grants ($1000 each) via a formal proposal process. 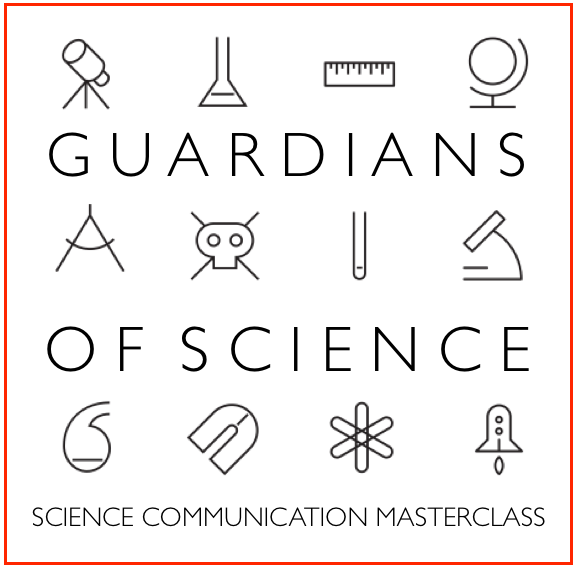 Note that if you are interested in a future Guardian of Science workshop (and you’re not a UBC graduate student or UBC post-doc), do please sign up here, and we’ll do our best to keep you in the loop.